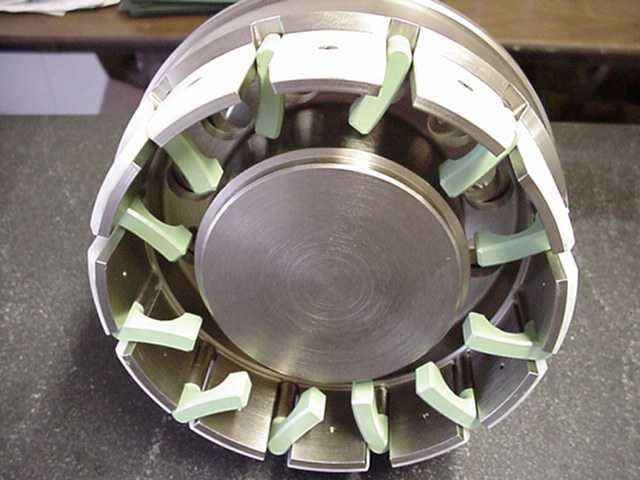 Machining fixture. Primary material is AISI 4140. Finish is black oxide. Hydraulic puller. Primary material is AISI 4140. Finish is electroless nickel. Mechanical puller. Primary material is AISI 4140. Finish is electoless nickel. Puller is surrounded with delrin pads. Jaw tips are teflon coated. 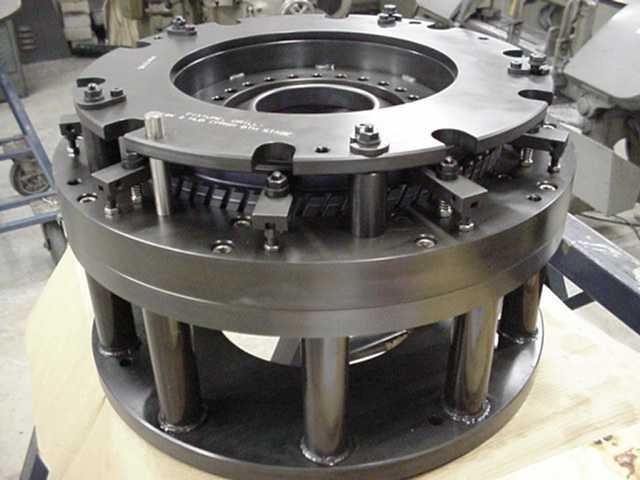 Heat-treat fixture with graphite sizing ring. Primary material is AISI 330 stainless steel. 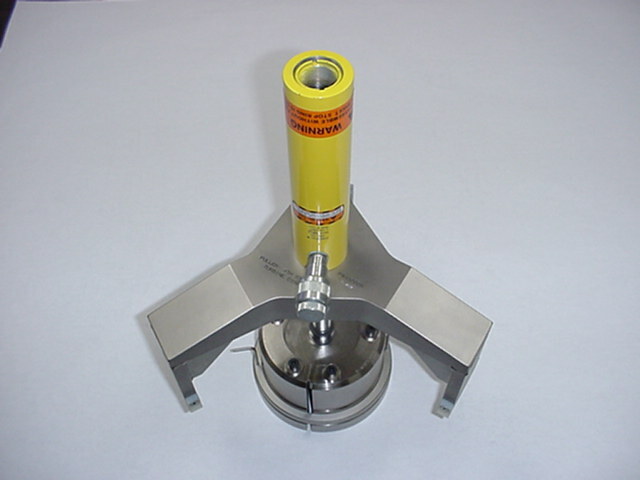 Inspection gage. Primary material is AISI 4140. Finish is electroless nickel. Hot form die for fan blade. Material is RA330 stainless steel. 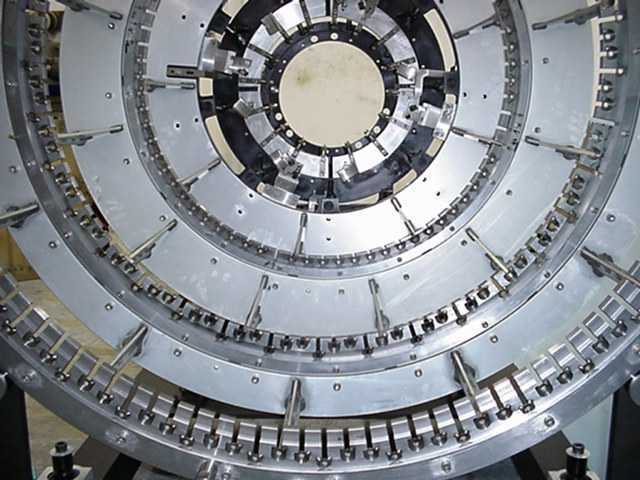 Machining fixture with expandable jaws actuated by the speedball handle. Primary material is AISI 4140. Finish is electroless nickel.